1. What is colon cancer? Cancer is a disease which can affect cells from all organs. 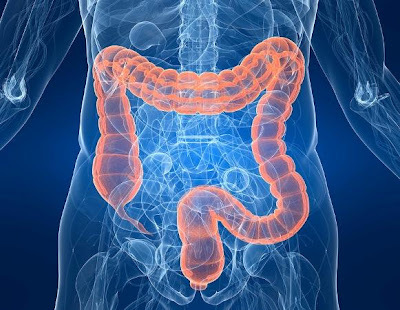 The colon cancer affects the cells of the colon, determining them to proliferate in an uncontrollable way. This mass of abnormal cells will form a tumor inside the colon. The cancer of the intestine is quite frequent and two thirds of this type of cancer is situated in the colon. 2.	Who can develop colon cancer? You are at risk of developing colon cancer if you drink a lot of alcohol and you are obese. Also if other members of your family had colon cancer or breast cancer you could inherit some genes that make you more sensible to cancer. If you have polyps on your intestine and you leave them untreated for a long time, they can transform into malign polyps, meaning that cancer had occurred. 3. Is my diet involved in cancer development? Following a diet which is rich in fats and proteins could expose you to cancer. If you eat a lot of fruit, vegetables and high fiber foods you can prevent colon cancer from occurring. 4. Does colon cancer come with any symptoms? There are some symptoms which could announce that cancer is installing, but they also appear in other diseases. Some of the symptoms are: seeing blood in your bowels, alternation of diarrhea with constipation, and low abdominal pains. 5. How does the doctor know that I have cancer? The doctor will perform a sigmoidoscopy or a colonoscopy to examine the insides of the colon. Also x-rays of the colon will be performed. These methods will see if tumors are present inside the colon. In order to stage colon cancer CT and ultrasound will be used. 6. Can colon cancer be treated? Generally the most indicated procedure in trying to treat colon cancer is surgery. By surgery the doctors will remove the tumor from the colon. If the cancer spread, giving metastasis, the doctors will recommend you chemotherapy and radiotherapy. These are hard bearable due to their side effects like nausea, vomiting, loss of hair, fever, and tiredness. 7. Is the treatment effective or not? If the colon cancer was diagnosed in its early stages and it has not spread to other organs the treatment will be 90% effective and patients will survive even five years after. If the cancer has given metastasis the treatment will not be so effective any more and half of the diagnosed patients will live less that five years.